MOGADISHU, Somalia — The Kenyan intelligence service has revealed the names of three Kenyans whom were said to have been involved in a deadly suicide car bomb and gun attack on Nasa-Hablod, a popular hotel located at Km-4 area in Mogadishu on June 25, 2016. BAIDOA, Somalia — The Al Qaeda-linked Al Shabaab fighters have launched an ambush attack on an Ethiopian soldiers’ convoy serving with the African Union peace forces in Somalia, said residents and an AMISOM spokesman on Monday. 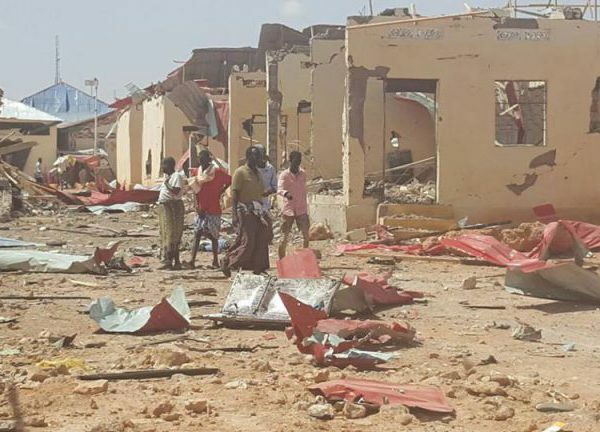 GALKAYO, Somalia — A Somali police officer says the death toll from the twin suicide bombings in the central Somalia town of Galkayo has risen to 25 people, including students, traders and security personnel. 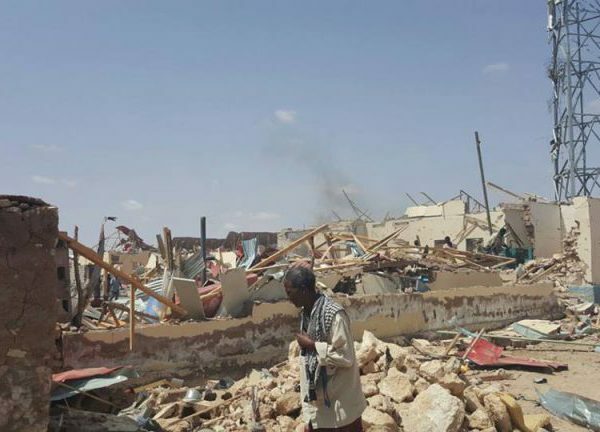 GALKAYO, Somalia – At least 15 people have been killed, and dozens of others have beenwounded in two simultaneous suicide attacks on the local government headquarters in Galkacyo town in central Somalia on Sunday, August 20, police and witnesses said. 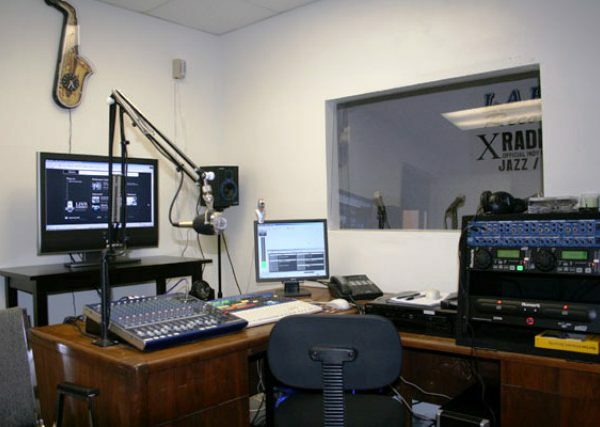 MOGADISHU, Somalia — The National Intelligence and Security Agency (NISA) should immediately release two Radio Shabelle journalists, Ali Ahmed Abdulle and Mohamed Adan Ibrahim, who were arrested this evening for their journalism work, the National Union of Somali Journalists (NUSOJ) said. 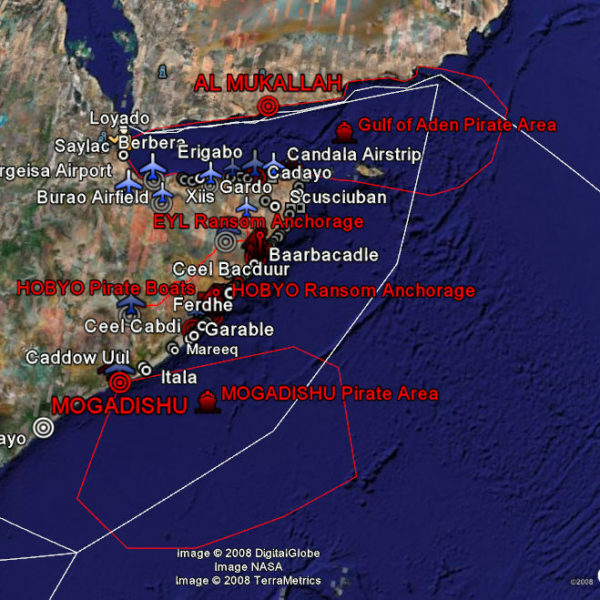 KISMAYO, Somalia — The Al Qaeda-affiliated Al Shabaab Islamic extremists have claimed to have killed at least five foreign soldiers, including an American, in an attack in southern Somalia on Wednesday, August 17, 2016. 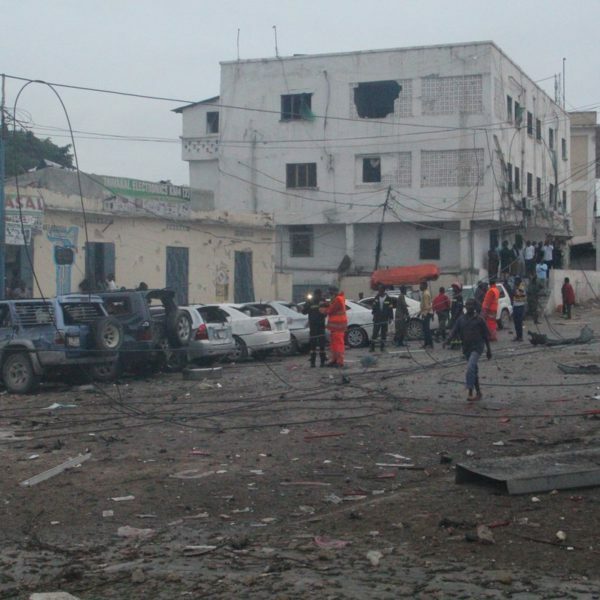 MOGADISHU, Somalia — The Al Qaeda-affiliated extremist group Al Shabaab has claimed responsibility for twin suicide Car bombings in the headquarters of Somalia’s Criminal Investigation Department (CID) in Mogadishu on Sunday. MOGADISHU, Somalia — Two huge explosions thought to be car bombs were heard at around Somalia’s Criminal Investigation Department (CID) in the Km4 area in the heart of Mogadishu on Sunday morning, police and witnesses said. 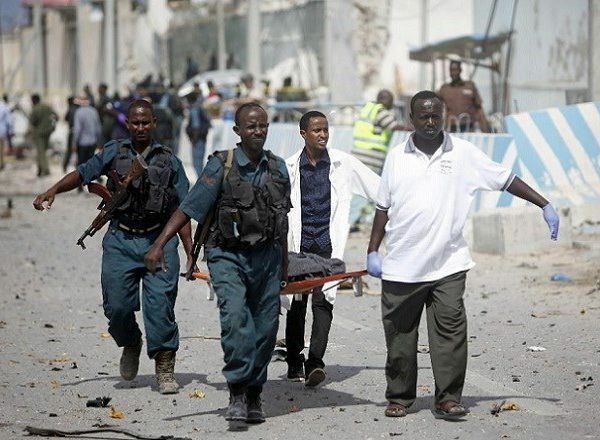 Security force members and medical workers moving wounded from the scene of the blasts. 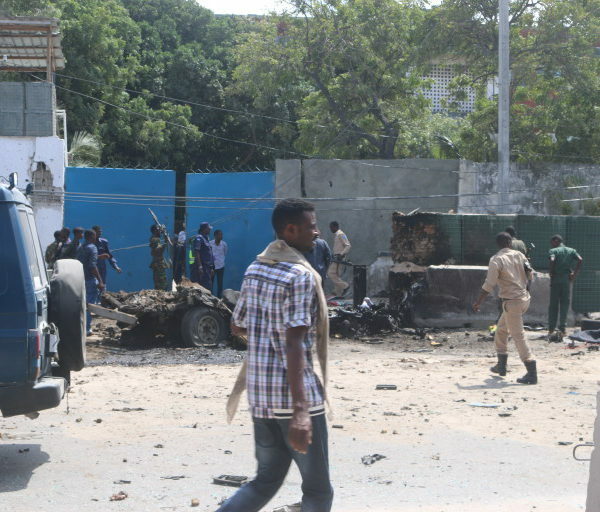 MOGADISHU, Somalia — The Al Qaeda-affiliated Islamic extremists of Al Shabaab claimed responsibility for twin car bombs near Mogadishu international airport on Tuesday morning, killing scores of people, including soldiers.